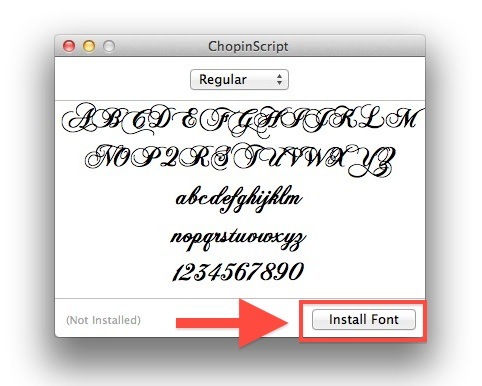 Want to install a new font in Mac OS? Maybe you want to remove a font you no longer use? 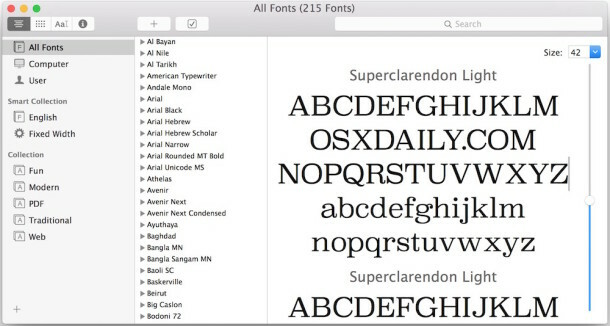 Managing fonts on the Mac is incredibly easy regardless of what system software version you are using. We’ll cover the process of installing new fonts, deleting unwanted fonts, and also restoring your default system fonts to MacOS and Mac OS X in case you mess something up in the process (though that is fairly unlikely). When you double click on a font file, other than being able to install it, you’ll also see a font character preview showing the font face. This window will also let you preview any stylized versions (bold, italic, etc) of the font that are available and tell you if it’s installed or not. This is done through the Font Book app, which can also be launched separately to manage your typefaces. 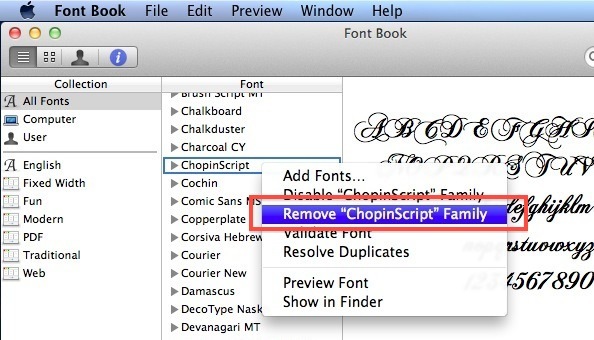 You can also go through the process of both installing and removing fonts in Mac OS X entirely through the Font Book application. To add fonts through Font Book, you can either drag & drop the fonts into the application, or use the File menu options. 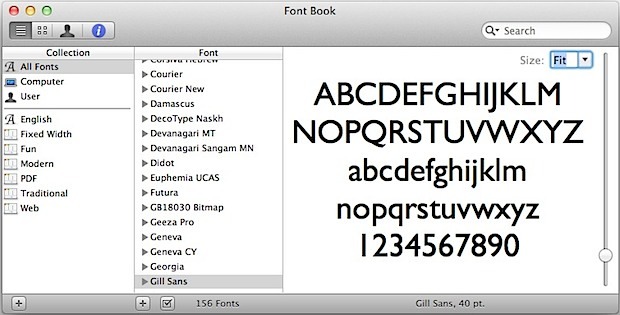 Regardless of how you install fonts onto the Mac, you can always browse through all fonts – both the default system bundled fonts and user added fonts – through the Font Book application. Font Book is basically the font manager for Mac OS, letting you do all sorts of font related tasks including installing and removing fonts on the Mac. Note: You can recover third party fonts after the restoration by looking in your ~/Library/ directory for “Fonts (Removed)”. Here’s how to get access the ~/Library folder in OS X Lion. This process of installing and removing fonts on the Mac is exactly the same in macOS High Sierra, Sierra, El Capitan, Mac OS X Yosemite, OS X Mavericks, Mountain Lion, Mac OS X 10.7 Lion, and 10.6 Snow Leopard. is there good places that i can get loads of fonts from ? Some aren’t that great though but they’re free. 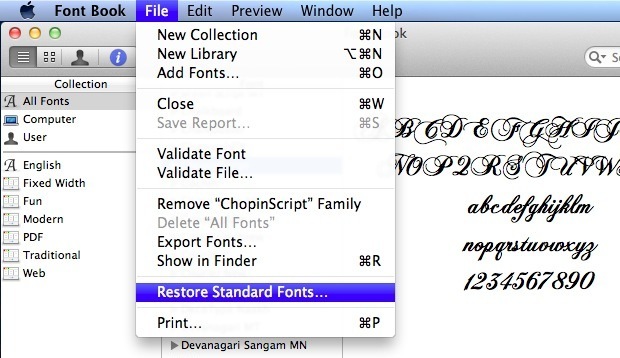 I’m running Mac OS X 10.6.8, and there is no “Restore Standard Fonts” menu item in the File menu or anywhere else. Try going to Spotlight on the top right corner and type in Fonts. Look for Fonts with the Macintosh HD name beside it. Drag and drop the fonts you want to install. It worked for me. Hi, im running 10.5.8 and dont have the option to restore standard fonts. Is there still a way i can do it? Thank you for the explanation, it worked! Why can’t I remove a suite of foreign language fonts such as STFangsong, Xingkai, Yu* and others that crept in while I wasn’t paying attention? Now, every time I use Google it wants to download more crap. fontbook is frozen everytime i open it! how do i uninstall fonts another way? and which font are safe to trash?